Car camping isn't a new thing for hunters. Pick up any old sporting magazine from the '50s and check out the photos. You will find tons of images of dudes sporting red checked flannel jackets huddling around the back of a ubiquitous wood-paneled station wagon. You might wonder why not a truck? 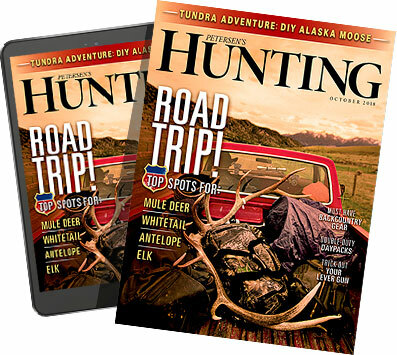 For hunters of the '50s, who often camped right where they hunted, a station wagon made senseâ€”it could carry plenty of hunting gear and had a drop tailgate for cooking, and the inside was big enough to sleep fairly comfortably. And while station wagons are pretty much extinct in America, the theory of car camping still makes sense. For the most part, hunters are still driving to their spots, and there is lots of public (free) camping on National Forest land. Don't forget one of the most enjoyable parts of any hunting trip: telling stories around the campfire before rolling into a sleeping bagâ€”something you can't do in a hotel or lodge. Here are a few products that will make the experience not only more convenient, but also comfortable.